Enter your email address below to receive a notification when Ambition Unboxed starts accepting new sign-ups! Enter your email address below to receive a notification when Ambition Unboxed is accepting new sign-ups again. Use code MOMSDAY at checkout for 20% off your order. 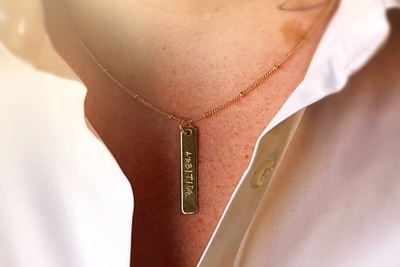 ORDER BY: May 3rd to receive in time for Mother's Day. Subsequent boxes ship monthly. No one sacrifices quite like a mom. This mother's day, show her you appreciate all she does with a gift that says, "I believe in you!". 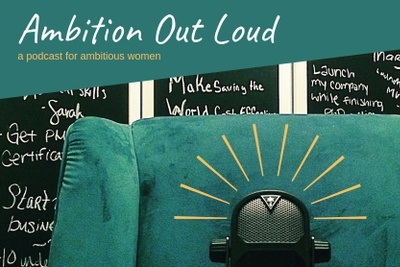 Ambition Unboxed by Cultivate Ink is for driven women ready to focus on their career goals. She'll develop as a leader through curated lessons she can complete at her own pace - giving her the skills to rise. Interdisciplinary lessons focus on crucial soft-skills every leader needs to advance regardless of industry. Hard-cover, game-changing book anchors each lesson plan and lessons ship in order so you never miss a key skill. Lesson aides highlight important insights and guide real-world application for true skill mastery. Inspirational quote cards, exclusive designs, and motivational surprises keep you challenged, focused, and aid in new habit development. If you are looking to up your leadership/project management game, you NEED this box. I decided last year (2018) that , even though I made a conscious decision to not to return to management, I want to be a better informal leader. I am senior staff in my agency, and while people don't report to me, they look to me for support. I want to know more so that I can do a better job there, and in the communities that I lead. Nicole has done a wonderful job putting the reading content for this box together, and I can't say enough good things. Not only is the content great, the packaging and the gifts are wonderful and very thoughtful. This is what they call the "whole package"! If you are looking to become a better leader, then the ProjectBox is for you. Each month you receive a great hardcover book with a study guide that will help you grow as a leader. The box also includes a couple other motivational items to help keep you focused on how to become a great leader. 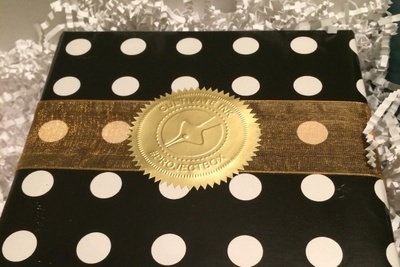 Nicole, the creator of ProjectBox, has curated a wonderful learning experience in each box that comes packaged perfectly without any of the items being ruined. You won’t be disappointed when you open your ProjectBox! Very well put together and educational! I got my first box this month and could not be more satisfied. Originally, I wasn't sure if this was for me because I am not a Project Manager, but it is definitely going to help me be seen as more of a leader in my office if I can absorb a few tips from each box and communicate better with my team. Executives often turn to Marketing when they're looking to cut costs because they think that a good Sales department makes up for the need of Marketing department, but thats just not how it works in this day and age. I combat this battle every day at work, constantly having to justify my own existence, while performing well at my job day to day, and be taken seriously as a shorter and smaller woman in a sea of older men. 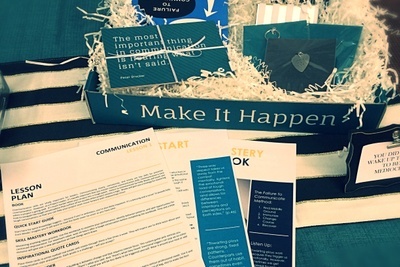 I could not be more excited to have found this subscription box-- the lessen has been relevant, well thought out, and designed exactly for the kind of professional development that I am looking for WITHOUT going back to school.